Follow the registration procedure on the right if you are interested in using NUFAB. Send any questions or comments to nufab@northwestern.edu. NUFAB is a central micro/nano fabrication facility in Northwestern University. It provides the whole range of nanofabrication equipment and technical expertise to Northwestern as well as external academic and industrial researchers. We support research in all areas of science, engineering, medicine, and interdisciplinary fields. 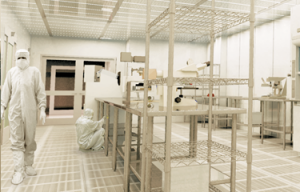 We are a growing facility with a capability to accommodate research in new directions. 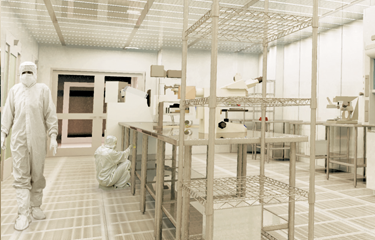 Our state-of-the-art equipment is located in a 6000 square-foot class-100 clean room with laminar airflow. The attached technical staff offices and a meeting/conference room with windows looking into the clean room provide easy accessibility. A video tour of our facility is available here. If you would like physical tour or have any questions, send us an email at nufab@northwestern.edu. NUFAB is a partner in Northwestern University’s NNCI node and welcomes external academic and industry users. Nantional Nanotechnology Coordinated Infrastructure is a National Science Foundation‘s program to advance nanotechnology research. Please send requests to NUFAB.